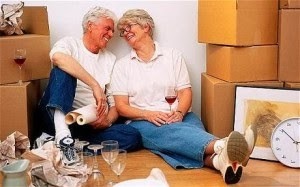 There can be no denying that moving from one home to another is always something that delivers some level of stress. It’s tough to admit, but if we are going to be perfectly honest with ourselves, we bring on a lot of that stress on our own. The highest level of anxiety usually comes with packing side of the move, which is the one thing that is almost always left to the last minute. What’s ironic is that all of the other details are deemed worthy enough to be planned weeks or months in advance, yet arguably the most important part of the whole process is left to the very end. Moving the elderly is never easy because they have problems with changing environments.There is a fear of the unknown factor associated with moving senior citizens.Here are some tips that might help if you are moving your parents, aunts, or senior loved ones into a new setting.You might think the job is done when they are moved, but is it?Remember your involvement will continue as they adjust to new surroundings.Whether you move them nearby or a distance away, they still consider you a primary caregiver.Follow these guidelines that will make the transition smooth and promote harmony. We move to a new home or location for all number of different reasons, not all of which are because the entire family wants to go. Oftentimes a move is forced because of financial or career issues, which may lead to some members of the household being less than happy. The first person you need to consider is your spouse or partner and how a move will affect them. For example, if you are moving because you have been offered a new position, a discussion should take place before the job is even accepted. This is especially true if you partner has a career of their own that will be affected by a move to a new area.